(W x D x H) 5.5 x 7.9 x 4.4 in. The new StripSpin 12 Mini Centrifuge from Benchmark is the only mini centrifuge designed for centrifugation of 12 position PCR strips. 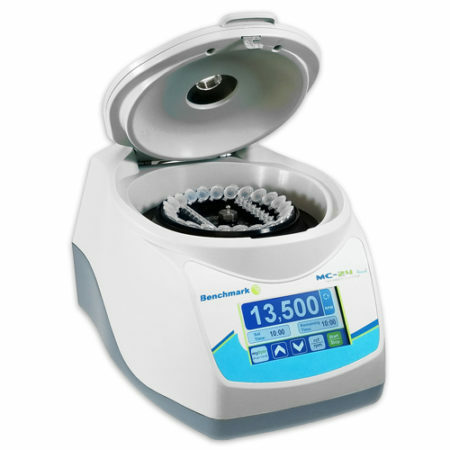 With a fixed speed that produces 2,000 xg, this centrifuge is perfect for quick spin downs. Simply close the lid and the unit quickly ramps up to 5,500 rpm. Open the lid, and the rotor quickly decelerates for easy removal of samples.